« Wordless Wednesday: NYC- All Dressed Up! Cellphone Postcards- Check it Out!! Alright, you all know how much I love to take photos and share them with EVERYONE!! Case and point, the number of times that I post pictures on Facebook and the love that I have for Wordless Wednesday posting photos of random moments in NYC. Well, recently this whole blogging adventure led me in a bit of a different path. A friend of mine recommended me to a woman who just started a new company called Cellphone Postcards. It is a new service that turns the picture you take on your cellphone or digital camera into REAL postcards that can be mailed to friends and family, worldwide. She wanted to hire an actual mommy blogger to try out the product, review it and if they liked it, help her by spreading the word to friends, family and the blogging community. It was something new and different but I have had a great time being involved in this process. Grandparents love getting them in the mail!! Many of you may have already received Cellphone Postcards from me because I have been having tons of fun snapping candid shots on my iPhone and sending them off to various destinations. 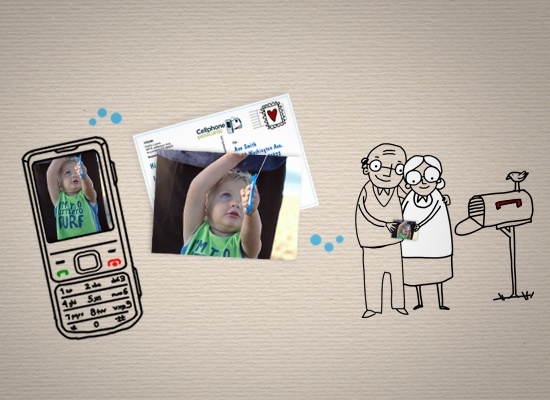 I think that this is a great way to stay in touch with the people in our lives and to help them stay connected with special moments as well as random everyday happenings. 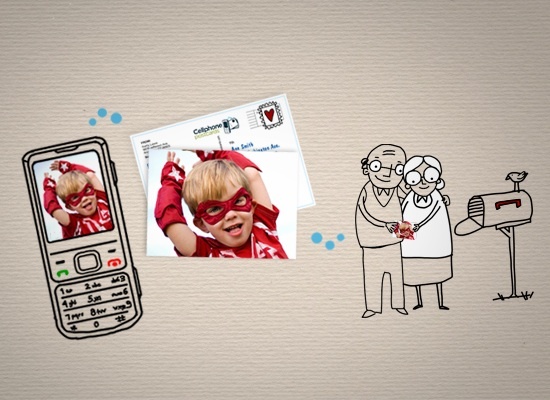 I recently used Cellphone Postcards as thank you’s for A’s birthday party. I took a hilarious photo of the girls at the party and then sent them Cellphone Postcards the next week with a quick thank you message. They enjoyed the sentiment and the picture keepsake. I even sent Postcards to the girls who were ecstatic because they LOVE getting ACTUAL mail delivered to them. (The only downside was that due to the fact that we are dealing with the US Postal Service there was a bit of damage to a couple of the postcards but overall, the quality was good.) With the holidays approaching I think that these Cellphone Postcards could be used in various ways including party invites and Christmas cards. Who doesn't like to get good news in the mail??!! I would love for you to try out this new product and let me know what you think and if you like it, spread the word! Follow this link Cellphone Postcards and enter in the code MB#2 in the promotional box on the sign up page to receive 10 FREE postcards. (The non-promtional cost is $0.99 anywhere in the US and internationally for $1.98) It is fun and easy to do. I look forward to receiving a postcard from you soon…hint! hint! C'mon, send one, you know you want to! I tried this out too. I heard about Cell Phone Post Cards trough BzzAgent. 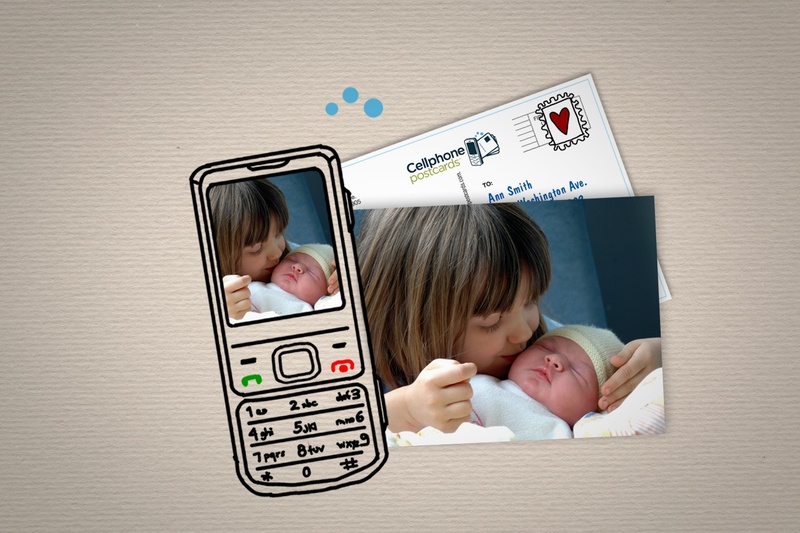 Cell Phone Post Cards lets you upload photos and send them to friends and family in the form of a postcard. They currently let you send 10 free cards, which is a good deal. Honestly, I haven’t had the best experience with it. I tried mailing a postcard to my sister and she never received it. The same happened to one of my friends. However, others who have tried it have let me know that it worked for them. It’s worth trying out.